Proscovia in action. She helped She Cranes beat Malawi Queens on Monday. NETBALL. Peace Proscovia Drajule’s sporting talent has never been in doubt. With a 6 ft 6 frame the towering Arua-born has always been as dominant in netball as she was in basketball. Now playing for Loughborough Lightning in the elite netball competition in England and Wales Proscovia gained attention in the Western world after Uganda’s eighth placed finish at the 2015 World Cup. Few in Uganda have consequently been able to watch her in action in the ensuing period. On Monday at the Lugogo MTN Arena, she was able to show the progress she has made with a dominant performance as Uganda cleared a major hurdle in their hopes of winning the African Netball Championship. The She Cranes won 66-43 win over Malawi in what was the third straight victory for the hosts. “Peace has improved tremendously because she is posting well and her movement makes it easy to create space. She is very aggressive and seems to have put the troublesome knee problems behind her. I credit the coaches where she has been,” She Cranes coach Vincent Kiwanuka said after the game. He had singled out the Southeastern African country ranked sixth in the world as the biggest threat to his team’s hopes of the title who are seven places behind. Buoyed by Manchester-based Joyce Mvula and Jessica Mazengera, Malawi threatened to upset the form book as they kept the She Cranes within sight. The latter led 13-11 and 27-22 after the first two quarters. 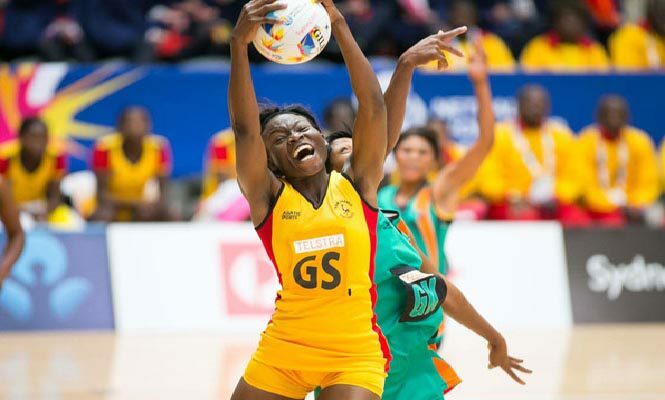 They then shifted gears going on a 21-7 run in the third quarter as goal defender Lilian Ajio and goalkeeper Stella Nanfuka stifled the Malawi shooters. At the other end Proscovia was also wreaking havoc as she dominated Alinafe Kamwala. The Malawi goalkeeper lost the battle for good as she was red carded for dissent and repetitive fouling after being given three warnings by the umpire. Proscovia then accelerated to 49 goals before being substituted with Hadija Nakabuye and stellah Oyella adding nine and eight goals respectively. Uganda now need to win their next two games against reigning champions Zimbabwe on Wednesday and Zambia on Thursday to be crowned champions. Currently ranked 13th in the world, the She Cranes are also targeting a place at next year’s Commonwealth Games. The 11 highest-ranked teams in the INF World Rankings (excluding Australia) as at July 1 will qualify. Reigning holders Zimbabwe meanwhile recovered from Sunday’s 55-45 loss to Malawi to defeat Botswana 56-37.